Mahindra officially launched the KUV100 in 2016 and started a new segment called Micro SUV in India. But this new segment didn’t catch the mind of the Indian buyers the same way compact SUVs did. Then the company introduced a refresh NXT model last year with tweaked design and new features. The update helped the company to improve sales, but the momentum didn’t last long as the micro-SUV registered negative growth of 28 per cent in FY18. 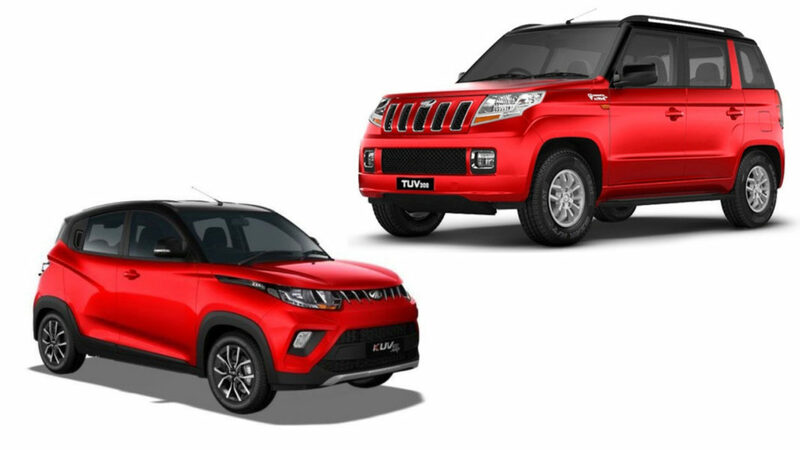 But Mahindra is shifting focus from sub-compact SUV models to MPV and full-size SUVs. The company launched four models in this segment and all these models are not selling well, and as per a report from Livemint, this reason has forced the management to reconsider the current plans. According to some media reports, the KUV100 AMT is expected to be launched later this year in India. The AMT gearbox of KUV100 will be the same unit come from TUV300 and it is expected to be available in both petrol and diesel engines. The 1.2 L mFalcon petrol engine produces 82 bhp of power at 5,500 rpm and 115 Nm of torque at 3,500 rpm. The claimed mileage of this engine is 18.15 kmpl. The KUV100 comes with flexible seating options of 5 or 6 seats and it comes with lots of features like touchscreen infotainment system with Bluetooth and Aux-in connectivity options, LED DRLs, fog lamps, 15-inch dual tone diamond cut alloy wheels, reverse parking sensors, power folding exterior mirrors and more.